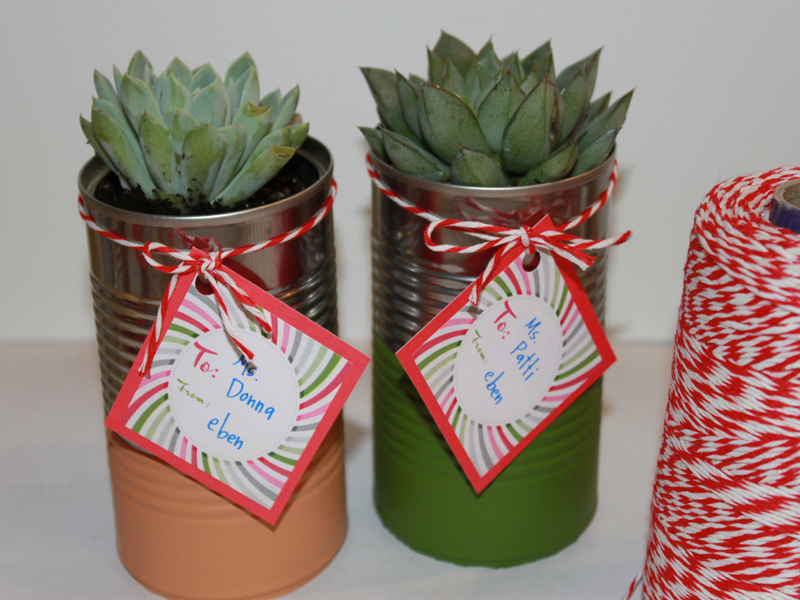 Organic succulents in recycled paint dipped cans are a perfect offering for any adult on your list, from teachers, coaches and tutors to grandparents. They also make a festive and thoughtful hostess gift if you happen to be going to a friend's our neighbor's house for Christmas dinner. Making this DIY present is a super easy project that is fun to do with your kids at the kitchen table on a cold winter day. The finished product looks great when presented and can be enjoyed year round. Most of the supplies needed for this project can be found in your recycling bin and garage. The only thing you may need to pick up are the organic succulents. My son picked his favorite organic succulents from our local organic supplier. He chose plants based on his teacher’s personalities – that is who he is giving the plants to. 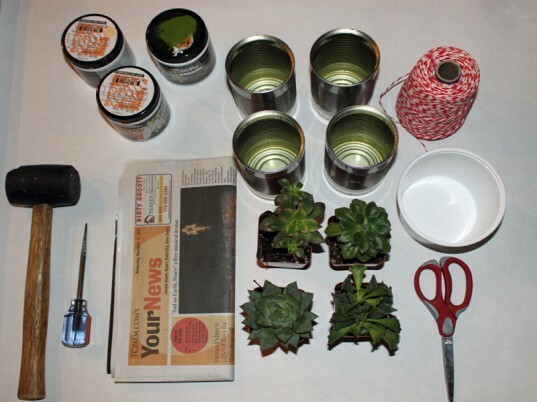 We suggest choosing succulents because they are a plant that everyone enjoys and that can easily grow in the cans. Soak the cans for a few minutes and then remove the labels. Dry and then dip the bottom half of each can into leftover paint – we had paint leftover from a project that was perfect for these gifts – allow to dry overnight. Use a screwdriver and mallet to make several holes on the bottom of the tin car for drainage. 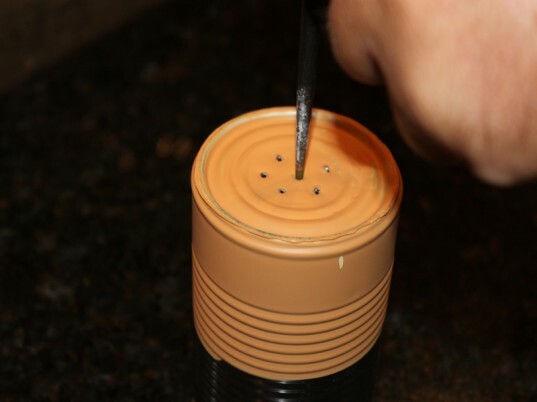 You can also use your craft knife to clean up the paint line around the cans. 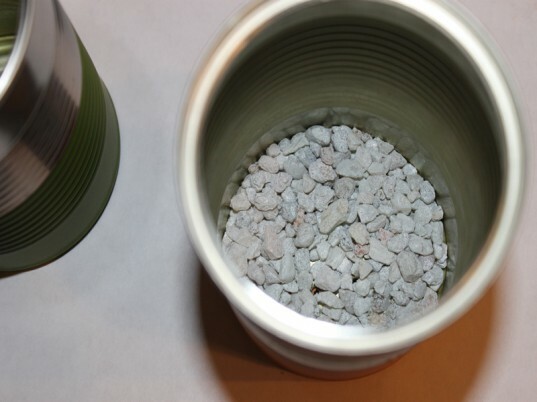 Add a thin layer of rocks to the bottom of each can for drainage. 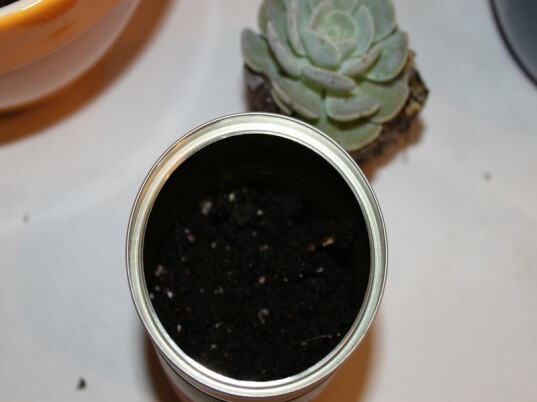 Let your child add the soil to each can, leaving room to plant your succulent, then cover the top with soil too. Add a little water to get your succulent started and sit in a sunny place until you present it to your recipient. Use baker’s twine or natural twine to add a little greeting note for that special someone who will receive your paint dipped recycled can succulent plants! My son picked his favorite organic succulents from our local organic supplier. 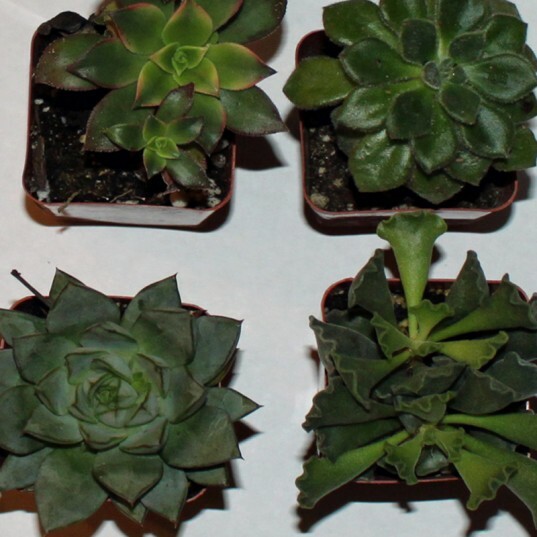 When picking them, he chose succulents that matched the personality of his teachers - who we are giving the plants to. 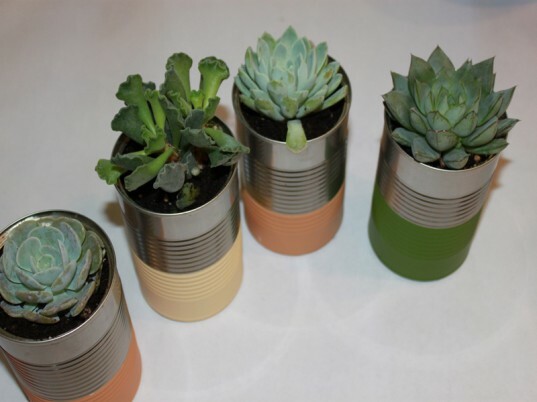 We suggest choosing succulents because they are a plant that everyone enjoys and that can easily grow in the cans. Soak the cans for a few minutes and then remove the labels. Dry and then dip the bottom half of each can into leftover paint - we had paint leftover from a project that was perfect for these gifts - allow to dry overnight. Use a screwdriver and mallet to make several holes on the bottom of the tin car for drainage. 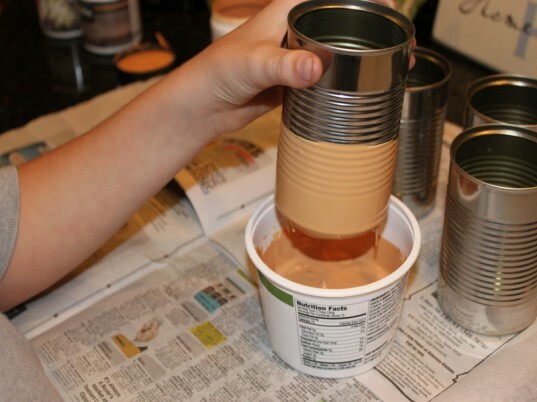 Let your child add the soil to each can, leaving room to plant your vegetable, then cover the top with soil too. Use baker's twine or natural twine to add a little greeting note for that special someone who will receive your dip dyed recycled can succulent plants!